Definition at line 40 of file llmetrics.h. Definition at line 139 of file llmetrics.cpp. Definition at line 144 of file llmetrics.cpp. Definition at line 155 of file llmetrics.cpp. Definition at line 150 of file llmetrics.cpp. Definition at line 161 of file llmetrics.cpp. Definition at line 61 of file llmetrics.h. 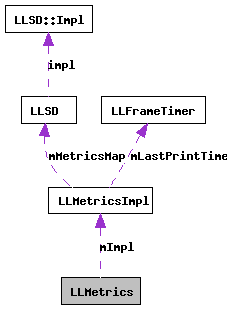 Referenced by LLMetrics(), printTotals(), recordEvent(), recordEventDetails(), and ~LLMetrics().